There is an increasing demand for organic semiconducting materials with the emergence of organic electronic devices. In particular, large-area devices such as organic thin-film photovoltaics will require significant quantities of materials for device optimization, lifetime testing and commercialization. Sourcing large quantities of materials required for the optimization of large area devices is costly and often impossible to achieve. Continuous-flow synthesis enables straight-forward scale-up of materials compared to conventional batch reactions. 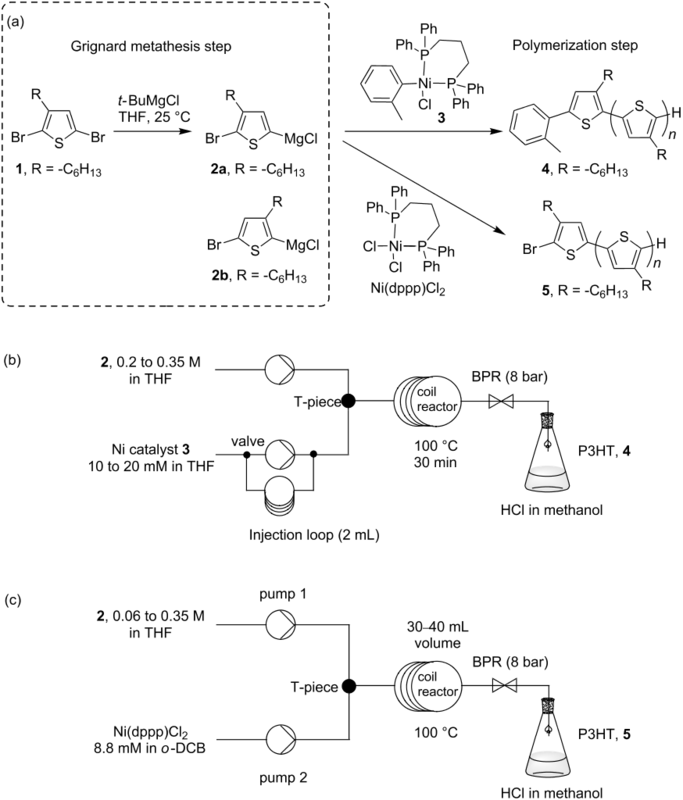 In this study, poly(3-hexylthiophene), P3HT, was synthesized in a bench-top continuous-flow reactor. Precise control of the molecular weight was demonstrated for the first time in flow for conjugated polymers by accurate addition of catalyst to the monomer solution. The P3HT samples synthesized in flow showed comparable performance to commercial P3HT samples in bulk heterojunction solar cell devices.